Introducing hand-inked Smitten typeface. Perfect for creating organic, fluid typography on products, branding, invitations, fliers, posters and other designs. File format: .otf, .ttf, .eps, .ai for Photoshop or other vector software. 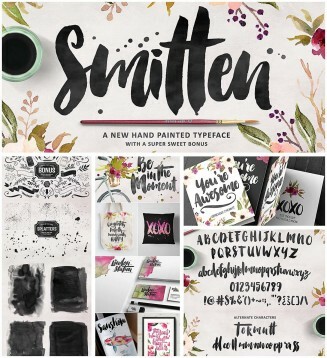 Tags: calligraphy, hand lettering, postcard, ribbon, script, typeface.